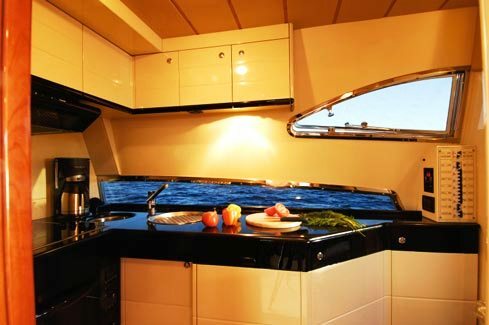 Ferretti Motor Yachts are well known for combining comfort and style along with exceptional performance. 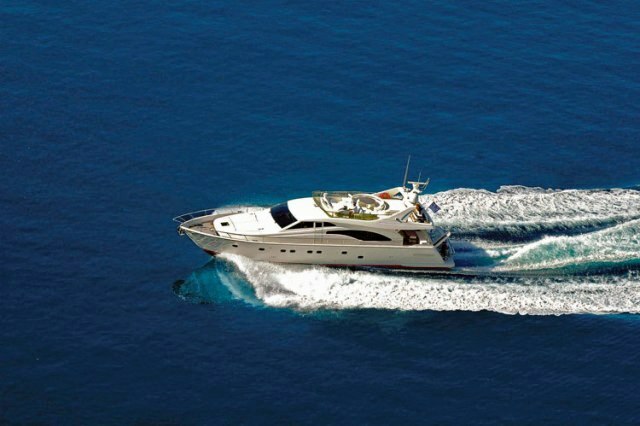 At a speed of 26-32 knots, she will quickly and safely cruise to your next destination with ease. 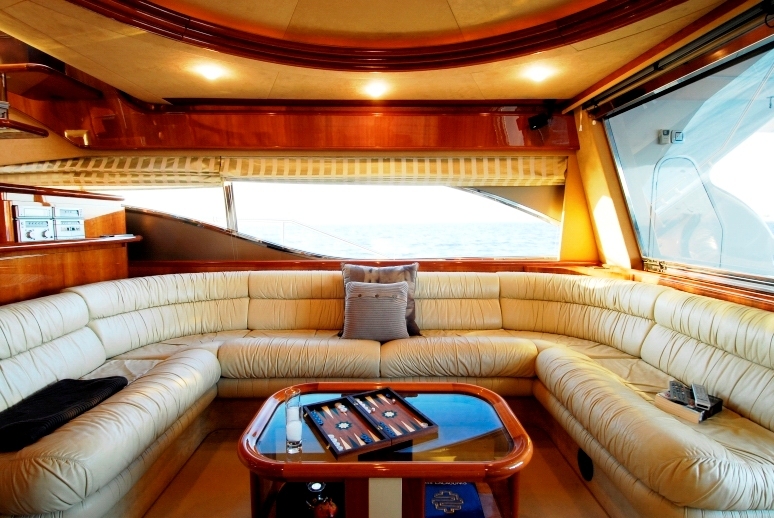 Charter yacht Alexandros has a salon perfect for relaxing or entertaining with its Satellite TV/DVD/Audio home entertainment system. 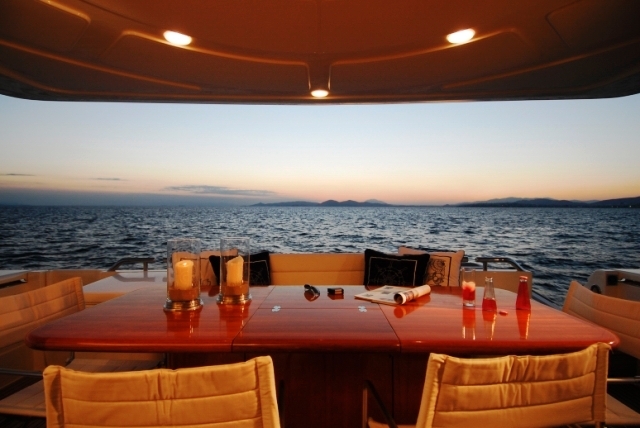 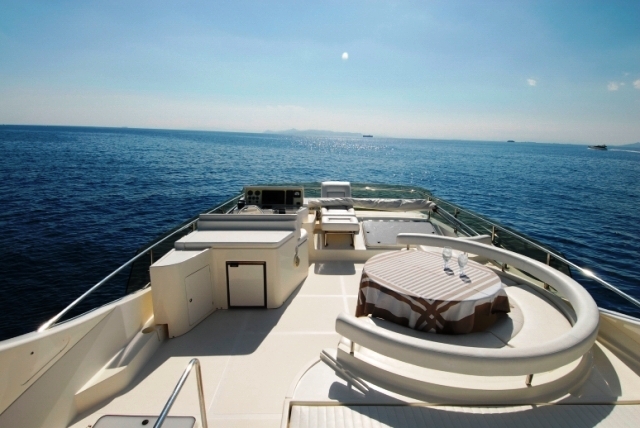 It is possible to dine both indoors or on the aft table or perhaps even under the stars on the spacious top deck. 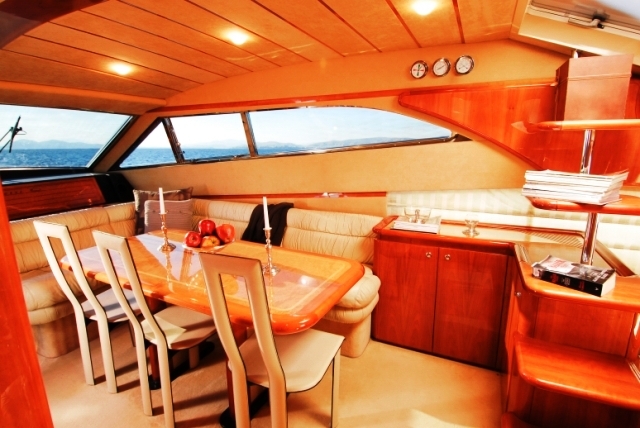 There are plenty of water sport toys on board including a Jet Ski, water skis and wakeboard. 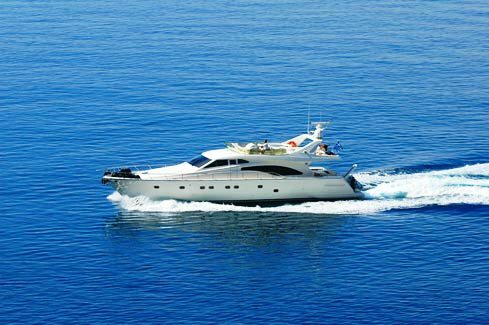 Motor yacht “Alexandros” has a friendly and reliable crew, eager to assist you and to make your luxury yacht charter cruise in Greece pleasant and unforgettable. 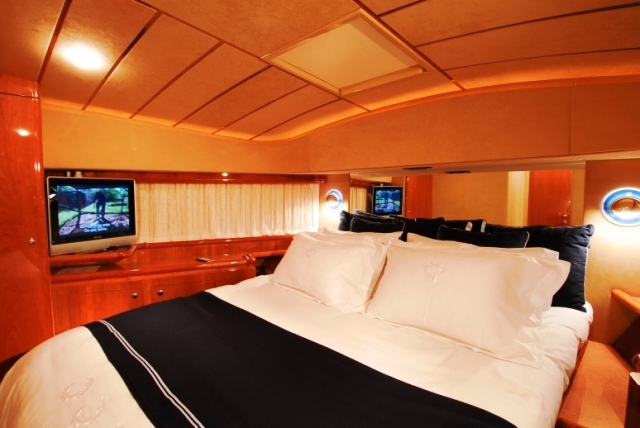 Motor Yacht Alexandros can accommodate 8 guests in a full width master cabin with a queen bed, settee, ensuite facilities. 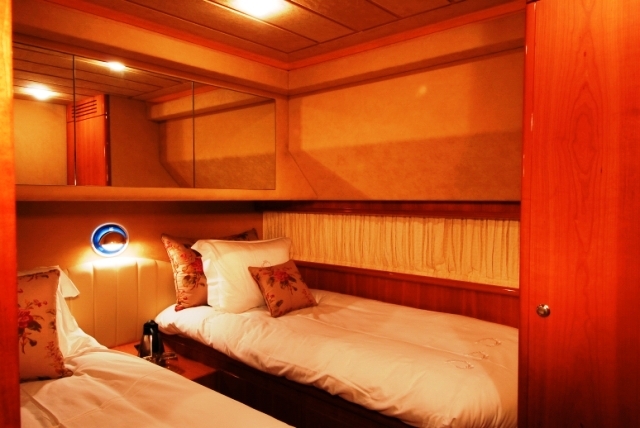 A VIP cabin also has with a queen bed and ensuite facilities and two additional cabins 1 twin bedded cabin and a cabin with upper and lower berths share a facility. 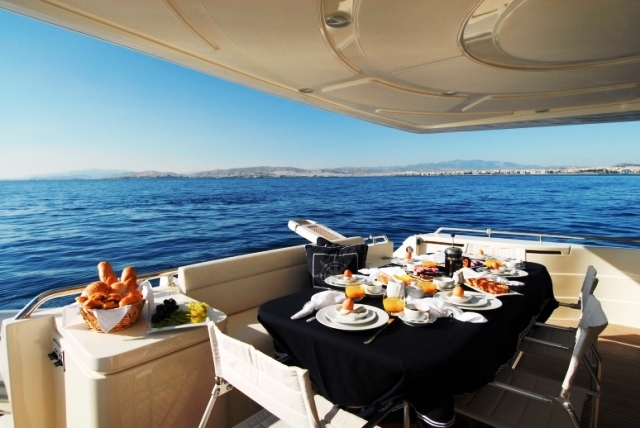 Charter yacht Alexandros has the following Tenders, Toys and amenities: One RIB inflatable Novourania with a 40HP Yamaha outboard, convertible wave runner to Jet Ski Seadoo 11 HP, water ski, canoe, kneeboard, wakeboard, snorkelling and Fishing equipments. 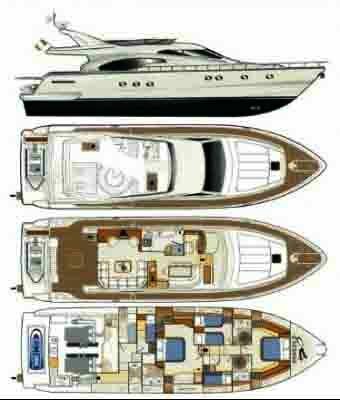 She also has the following Communications on board: Radar, GPS with plotter, Navtex, Autopilot, VHF, Dsc, GSM phone and internet. 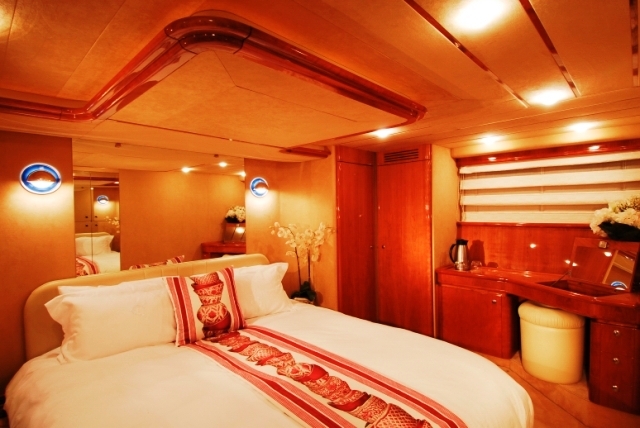 The Audio Visual Equipment and Deck Facilities on board include: Satellite TV, Video and DVD entertainment in salon, video and audio in the master cabin, water and ice maker.